The town has already surpassed the national average and reached 97.4 per cent coverage, with more than 37,000 households and businesses now having access to superfast speeds of 24Mbps and above over the Openreach fibre network. Access to superfast broadband across Middlesbrough and the Tees Valley continues to increase, largely thanks to Openreach’s commercial rollout and the multi-million pound Digital Durham, Broadband Delivery UK (BDUK) partnership. The partnership is part funded by Tees Valley Combined Authority, with an aim to deliver superfast broadband to at least 98.1 per cent of premises across the five local authorities of Middlesbrough, Stockton, Darlington, Hartlepool and Redcar and Cleveland by May 2019. 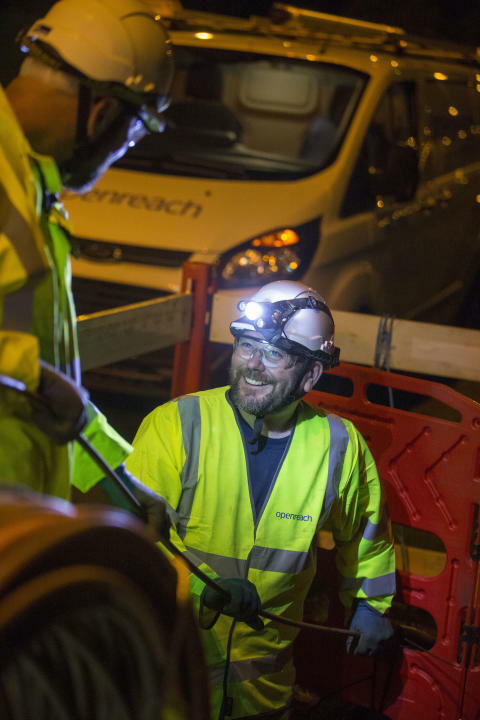 Derek Richardson, programme director in the North East for Openreach, which employs more than 1,100 engineers and other workers in the region, said:“This is a great day for both the country and for Middlesbrough. For a number of years the town has led the way with the roll-out of this exciting technology, which is providing a major boost for the economy. “We have some of the highest superfast coverage figures, which is a tribute to the hard work of local engineers and the success of our BDUK partnership in this part of the North East. The multi million pound scheme has been one of the largest and most complex engineering projects in the whole region over recent years and it’s a great example of the public and private sectors working effectively together. Tees Valley Mayor, Ben Houchen said: “Today, superfast broadband is a necessity rather than a luxury. From ensuring Tees Valley businesses have the ability to compete on a global scale to connecting families to their loved ones, it’s vital we have the means to reach out to the world. “Thanks to our funding, Middlesbrough is leading the UK in superfast broadband provision. This 97.4 per cent coverage will pave the way for more success and competitiveness in our key advanced manufacturing, process, chemicals and energy and digital and creative sectors. As the UK’s largest digital infrastructure provider, Openreach now offers wholesale fibre broadband services to more than 27.1 million British homes and businesses, making up the lion’s share of the total national footprint, with the firm having invested more than £11 billion over the last decade to upgrade and expand its network nationwide.